Ring in the New Year with Organization! With the arrival of 2014, New Year's resolutions are sure to be on everyone's mind. If your New Year's resolution is to get organized, here are a few ways to accomplish that. 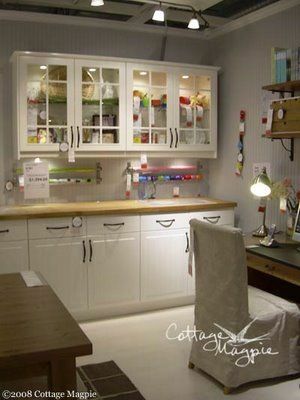 Desks with multiple drawers, file cabinets, and storage spaces can be the perfect solution to cleaning up the clutter. We all know that paperwork can cause a lot of headaches. However, a custom desk with multiple compartments for paperwork can help you maintain your composure and excess papers. Custom built-ins can give you added space for your family's newly acquired board games, TVs, DVDs, and any other gifts or treasures that were received during the holiday season. Rather than trying to find ways to fit everything in the old and cramped spaces, a custom built-in can help you organize your new belongings while keeping them accessible for any occasion. Looking for more inspiration as to how to keep the clutter at bay? Visit our Pinterest to get more ideas!